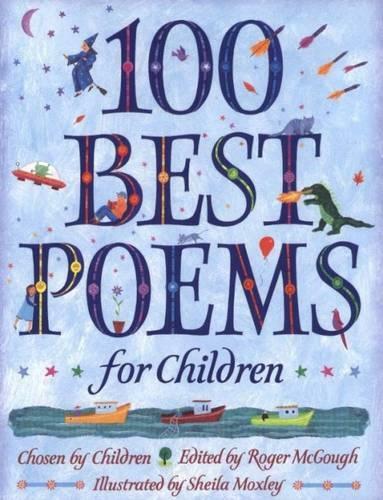 A wonderful collection of contemporary and classic poems chosen by children from schools around the UK. Roger McGough made the final selection and wrote the introduction. Roger McGough was born in Liverpool and educated at the University of Hull. He came to prominence in the 1960s with the publication of THE MERSEY SOUND, and is one of today's most popular poets. He writes for children and adults and performs his poetry all over the world. He was honoured with an OBE in 1997, and won the Signal Poetry Award in 1998. Roger now lives in London. Sheila Moxley is gaining a powerful reputation for her multi-cultural illustration. She lives in London.